Is Your Wipe Really Flushable? No, it is not. 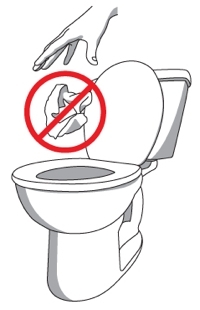 Wipes should never be flushed. This is true even if the packaging says that they can be. Consumers have been led to believe that flushable wipes are safe for our wastewater treatment infrastructure, that they won’t clog our toilets, or that they easily disperse in water like toilet tissue. But the fact is, wipes do not easily disintegrate in the plumbing, putting your home at risk of sewage back-ups or causing wastewater treatment equipment to fail. According to the Association of the Non-Woven Fabrics Industry (INDA), the term flushable started being used in the 1980’s when the paper industry began to market standard latex-bonded, air-laid wet wipes, deeming them as flushable because of their small size. These wipes were considered flushable as long as the size was small enough to transit through the toilet and wastewater system. Due to the lack of clarity on the word flushability or what was considered flushable, many manufacturers and consumers felt unclear; not knowing when flushing was considered an appropriate disposal mechanism. As a result, companies used their own definitions and methods to determine what constituted their product as a flushable wipe. 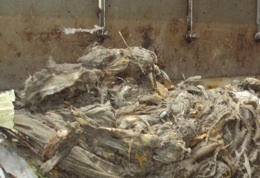 It wasn’t until these flushable wipes started to clog municipal wastewater systems that the need for regulation was identified. Both the INDA and its European counterpart (EDANA) have put regulations in place for flushable wipes to be made of non-woven fabrics that are truly flushable. In summer of 2009, INDA and EDANA published their flushability guidelines known as the Guidance Document for Assessing the Flushability of Nonwoven Consumer Products. What deems a product as a truly flushable wipe? It should easily disintegrate when flushed. A Consumerreport.org video demonstrates what happens to a flushable wipe when it’s put through a disintegration test to simulate the process of flushing. The report reveals regular tissue easily disintegrates within eight seconds, but the flushable wipe doesn’t even begin to break up after 30 minutes. This alone is enough to cause problems for your plumbing and municipal wastewater treatment infrastructure. A truly flushable wipe would be more like toilet tissue: dispersible and easily breaking up. Never flush wipes of any kind.